Dining in the garden needs to be practical, especially where busy families are concerned. But practicality doesn’t need to give way to style. 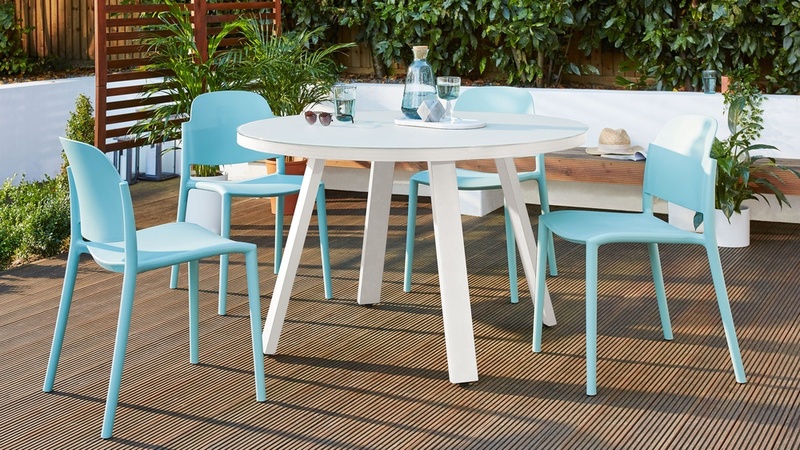 We’ve combined a sleek design with durability to create the Koko Garden Table. 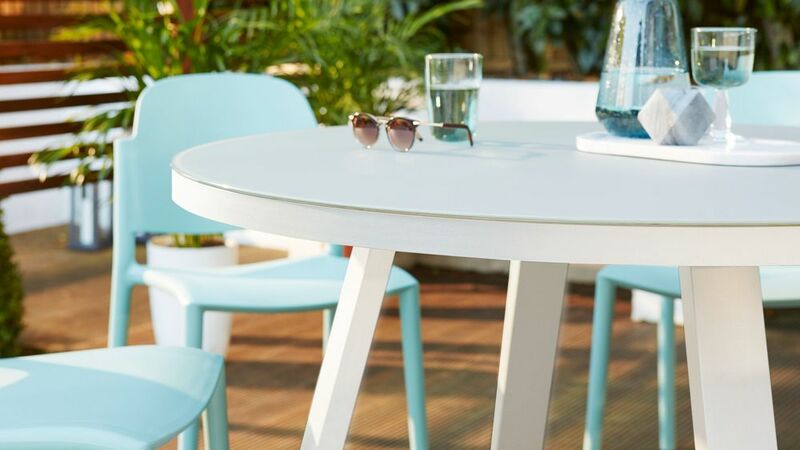 A modern twist on a classic style, the Koko has a frosted glass top and powder coated frame to create a garden table that looks and feels lavish, without the price tag. 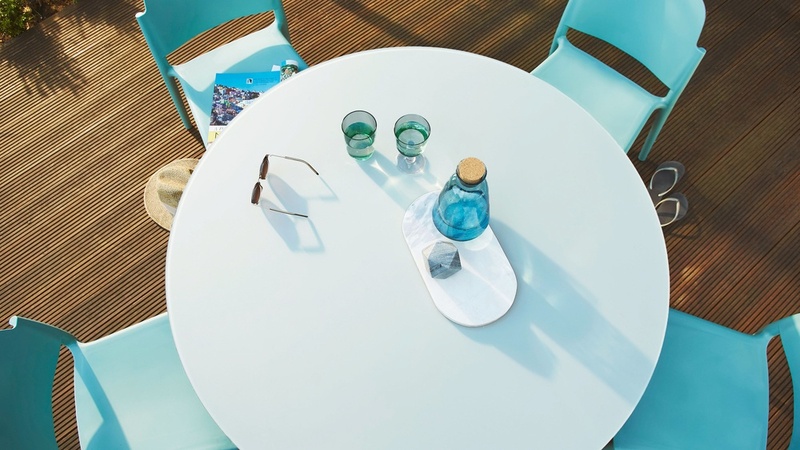 Designed to seat 4 people, the Koko round garden table is a generous size so you can always add extra seats if needed. Outdoor dining is slightly more casual than indoors, so you can be a bit more relaxed when it comes to spacing and place settings. 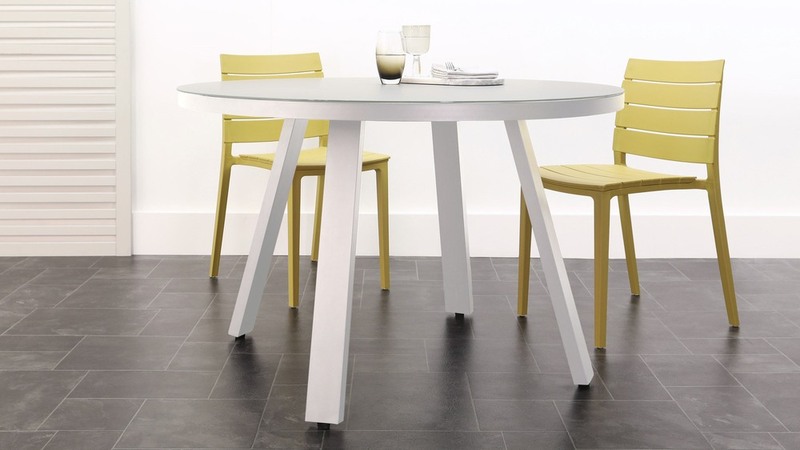 The legs and frame of the Koko table are made from aluminium, finished in a fresh white, powder coating. The matt finish is so easy to clean and maintain, while aluminium itself is inherently anti-rust. 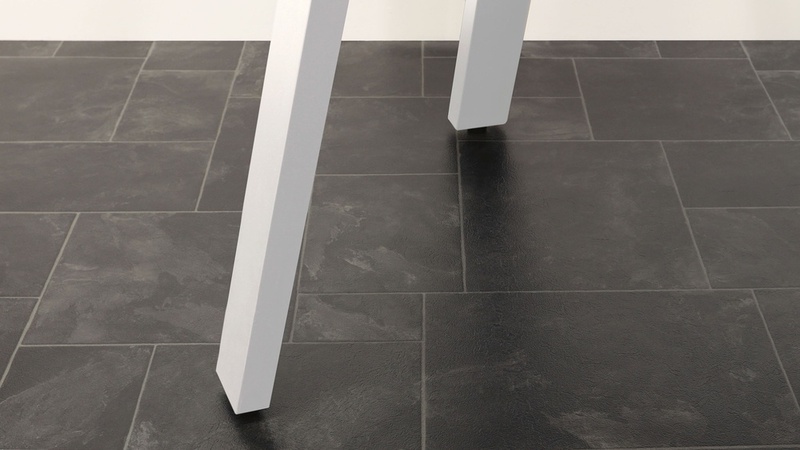 This makes the table very durable and able to withstand those summer showers. The aluminium tube frame keeps this garden table lightweight and therefore easy to move and store. This is a great feature as you can quickly rework your garden space and then store the table away during the winter months. The etched glass table-top has a hazy, light appearance, which gives the Koko table its cool and contemporary appearance. A great feature of a frosted glass finish is that it's not overly reflective which means you won't get a glaring reflection in the sun. To keep the 6mm thick tempered glass top in place, we’ve added anti-slip suction pads. The thickness of the frosted glass makes it lightweight yet incredibly strong. 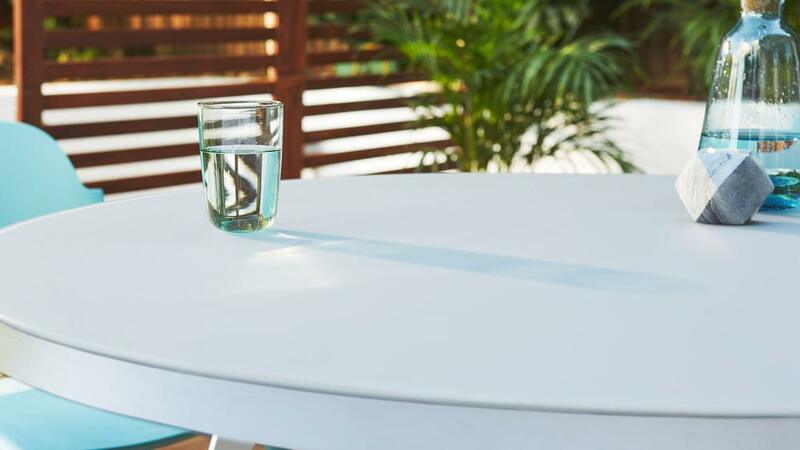 Being slightly thinner than other outdoor tables keeps it light and easy to move, so you can reposition it around your garden without much difficulty. Nobody wants a wobbly table when they’re dining al fresco. That’s why we’ve gone the extra mile and added adjustable floor protectors. This means you can not only protect your patio or decking but can also adjust the protectors to accommodate an uneven floor, so no more wonky garden tables! 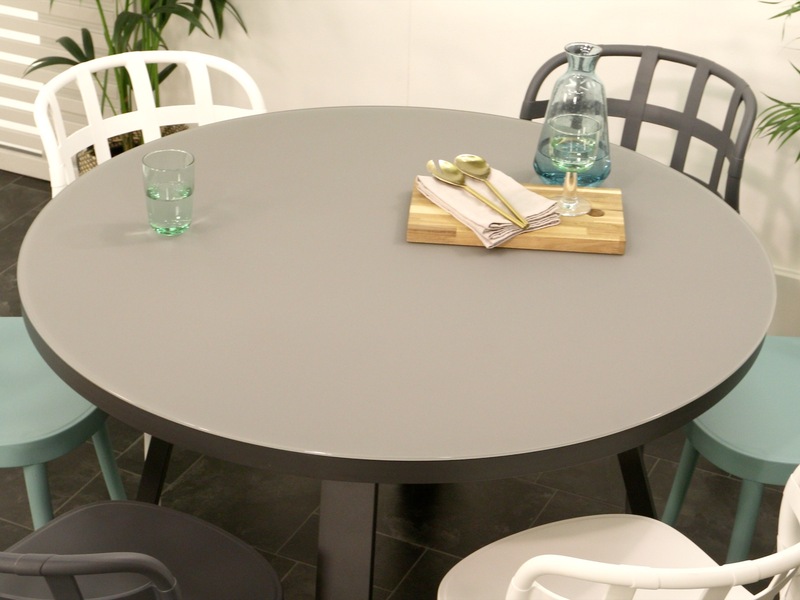 The Koko White 4 Seater Round Dining Table is also available in grey if you’re after a darker look.